LAY MAN'S CORNER: Why is Health Insurance So Complicated in Nigeria? 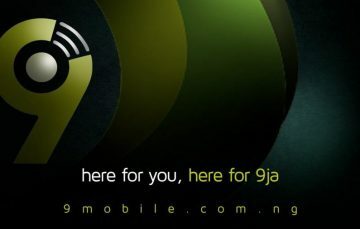 Home»Features » Why is Getting an Insurance Policy Complicated in Nigeria and How Can Technology Make a Difference? Why is Getting an Insurance Policy Complicated in Nigeria and How Can Technology Make a Difference? Some time ago I was in a car with a client when we drove by a typical Lagos “you don bash my car” scene. There was the usual commotion with its attendant vituperation and chest-puffing. I and the driver looked at each other like, okay he’s clearly a foreigner he doesn’t understand this is probably the only way the car owner gets any compensation from the Danfo driver. The client’s next question stunned me. Likeeee, I think all the drama is unnecessary sef, hefty car like a Lambo should have an insurance if not the owner is on his own. Does the danfo driver want to sell his village members? I began to imagine a Danfo driver in Agege or a Keke rider in Obalende with insurance. As you would expect, it was hard to imagine. But it even feels worse trying to imagine how many Nigerians don’t have health insurance. In a country where the most common illnesses are some of the biggest killers, 3% is too poor. More so if you consider that majority of the people insurance should benefit more are the low-income earners. Lack of Finance is a huge barrier to accessing #Healthcare. Availability of adequate health facilities is also a challenge to #HealthForAll. While health insurance can address financial problems. Govt should make health facilities available to address any challenges to access! So, why exactly is health insurance such a big deal for us in Nigeria? One of the major problems is poverty and diminishing sources of income. It would be very difficult to ask a man who isn’t sure where his next meal would come from to bring out money, when he eventually finds it, for health insurance. It is just impossible. Another reason why health insurance is such an affair in Nigeria is just ignorance. People have heard about insurance programmes. But due to the phenomenon simply called the ‘Nigerian factor’ which causes the average Nigerian to be suspicious of anything that involves paying up front, they disregard it. With such attitude, health insurance will continue to drag for a very long time. Another issue with insurance is the fact that people just don’t want to pay for it. Some such people think it ought to be the duty of government to provide free health insurance. Others insist they would pay for their treatment when they get sick, not before. This is something that should start in Nigeria. The problem is you will hardly find someone who will want to give up some money for health insurance. It is no longer news that the government itself has been standing on watery feet when it comes to health insurance. With government officials allegedly looting funds meant for the National Health Insurance Scheme and lacking the willpower to enforce policies, health insurance in Nigeria has largely followed the government’s lead. One of the reasons why health insurance is still very abstract in Nigeria is redundant Health Maintenance Organisations (HMO). HMO’s are supposed to be the faces of health insurance in the country. They should educate the people on why health insurance isn’t a waste of resources but a huge benefit. They should also continuously strategies to always make health insurance more affordable. HMOs are supposed to help tackle the problem of affordability, but sadly, a lot of low income earners still cannot afford the cost of an average HMOs basic plan. There are other issues with health insurance in Nigeria that cannot be broached on here. Another underlying problem with health insurance is people’s religious beliefs. A lot of Nigerians believe paying medical bills when clearly not ill means decamping from their faith. They also believe it means giving oneself bad omen. If you are talking about the blood of Jesus, then yes. We don’t need an oracle or cutting-edge technology to tell us that health insurance holds the key to affordable medical care for average Nigerians. It ’s just sad that Nigeria, from the government down to the people, are not averse to it. Some individuals, as well as tech companies, are making significant efforts to make access to insurance services a little easier. Recall that recently, Piggybank unveiled a package in conjunction with AvonFlex to make access to health insurance incredibly affordable. Also, renowned Nigerian financial analyst, Tunji Andrews began a drive to help more Nigerians get signed up to health insurance. What is left to be seen is the synergy between these Fintech companies and the established. The synergy is so needed because the Fintech companies are designed to reach the people the big players are not configured to serve. Talk about the unbanked but with access to mobile phones. Another key factor to be explored are the regulations that make market entrance a gruesome burden. But a lot still needs to be done. One can only wish that we somehow overcome the many factors militating against the culture of health insurance in Nigeria. For our own sake.